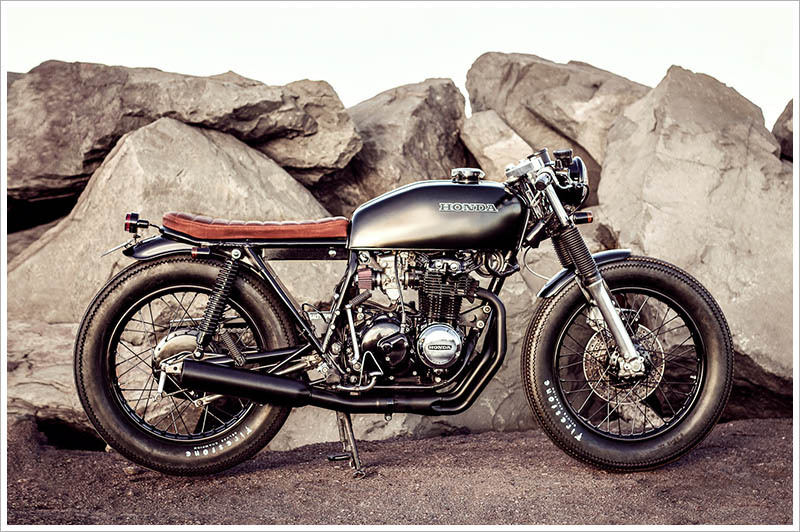 1978 Honda CB400F by Salty Speed Co.
One of the newest custom shops to grace the east coast of Australia is Salty Speed Co. They are a small garage based in Wollongong (or ‘The Gong’ as the locals affectionately call it) and is around an hour south of Sydney. This is only their second build under the Salty Speed Co. name but they have already garnered lots of interest for their work. The owner of this CB400F, Brent, was originally looking to purchase their first build, a CB250 Brat Tracker that was up for sale at the time. “Unfortunately he was beaten to it by an eager young miner from Far Northern Queensland where the CB250 now resides, tearing up the red dirt roads of Mt Isa” says Matt from Salty. This time, instead of heading back to eBay to hunt for another finished custom, Brent decided to commission Salty to build him a bike to his specifications.